Liquid Facelifts - What Are They? A liquid facelift may sound scary and make people envision an operating table and bandages – but what if you could have a non-surgical facelift? 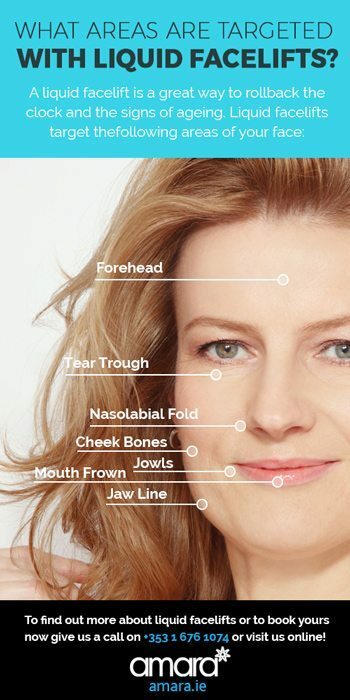 Using Botox, Juvederm filler and a special 8 point technique you can have a liquid facelift! A liquid facelift is a non-surgical treatment we offer at Amara. Using a combination of Botox and dermal filler we can lift and contour the areas of the face that tend to sag with age. What Areas Are Targeted With Liquid Facelifts? Why Do People Get Liquid Facelifts? As we age we naturally lose volume in our face, as a result of this our cheeks and muscles may start to sag and dip. A Liquid Facelift can restore the volume to our face in a natural looking way rejuvenating our skin and making us look younger. A full surgical face lift can costs thousands of pounds and has a long recovery time. A liquid facelift takes on average 30 minutes and is virtually painless with no downtime afterwards. A liquid facelift also leaves you with a much more subtle and deniable look which is what many people prefer. 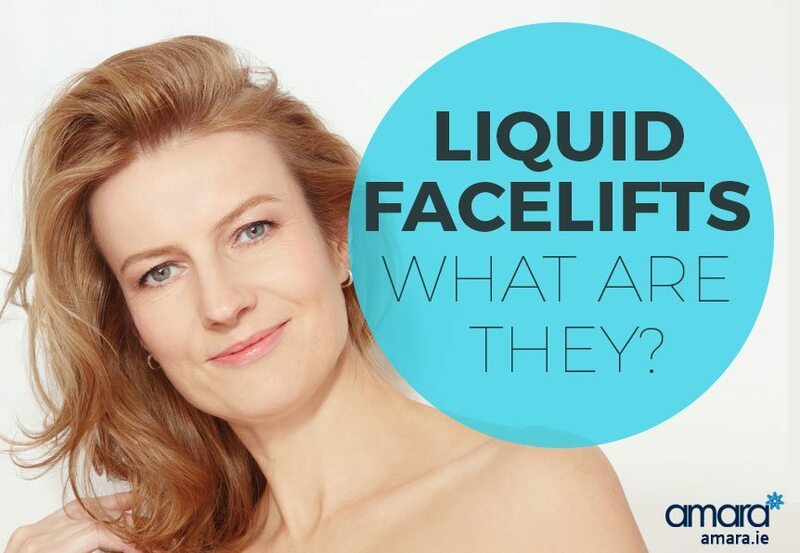 A liquid facelift is also suitable for a variety of patients. How Do We Do A Liquid Facelift? Exactly what I do with a liquid facelift depends on the person and how much rejuvenation do they need? The most popular package consists of 2mls of filler and Botox treatments. 2ml is essential for noticeable results however some people may require 3ml. The 8 point technique that I do refers to the number of injections I place around the face. This special technique ensures a more natural and longer lasting effect. For example injecting the top of the cheek bone pulls up the rest of the cheek – and reduces the amount required in the cheek itself. For our most popular package (2mls) we charge €1000 if paid on the day, and €1200 if paid in installments. What Should I do After A Liquid facelift? Other than these simple steps there is virtually nothing to consider, many people get a liquid facelift on their lunch break and head straight back to work after! Are you considering a liquid facelift? Give us a call now on +353 1 676 1074 or contact us online to book in for a consultation! How long does a liquid face lift last.